“Curcumin gel appears to work much better when used on the skin because the gel preparation allows curcumin to penetrate the skin, inhibit phosphorylase kinase and reduce inflammation,” explains Dr Heng. Curcumin is an ingredient found in the common spice turmeric. Turmeric has been used as a spice for centuries in many Eastern countries and gives well known dishes, such as curry, their typical yellow-gold color. The spice has also been used for cosmetic and medical purposes for just as long in these countries. In recent years, the medicinal value of curcumin has been the subject of intense scientific studies, with publication numbering in the thousands, looking into the possible beneficial effects of this natural product on many kinds of affliction in humans. This study published reports that topical curcumin gel applied soon after mild to moderate burns and scalds appears to be remarkably effective in relieving symptoms and improved healing of the affected skin. This enzyme in humans has many important functions, including its involvement in wound healing. Wound healing is the vital process that enables healing of tissues after injury. The process goes through a sequence of acute and chronic inflammatory events, during which there is redness, swelling, pain and then healing, often with scarring in the case of burns and scalds of the skin. The sequence is started by the release of phosphorylase kinase about 5 mins after injury, which activates over 200 genes that are involved in wound healing. Dr. Heng uses curcumin gel for burns, scalds and other skin conditions as complementary treatment, in addition to standard treatment usually recommended for such conditions. This entry was posted in medicine, nanotechnology and tagged burns scalds. Madalene Heng, curcumin gel, Curcumin: a scientific literature review concludes health benefits may be overstated, David Geffen School of Medicine, inflammation, Madalene Heng, phosphorylase kinase, Phosphorylase Kinase Inhibition Therapy in Burns and Scalds, skin, skin problems, topical curcumin gel, turmeric, UCLA, University of California at Los Angeles, wound-healing on April 14, 2017 by Maryse de la Giroday. Arbro Pharmaceuticals has launched SNEC30, a patented highly bioavailable self-nanoemulsifying curcumin formulation in the dosage of 30mg. Curcumin is the active ingredient of turmeric or haldi, which has been widely used in traditional medicine and home remedies in India for hundreds of years. Clinical research conducted over the last 25 years has shown curcumin to be effective against various diseases like cancer, pain, inflammation, arthritis, ulcers, psoriasis, arteriosclerosis, diabetes and many more pro-inflammatory conditions. Despite its effectiveness against so many medical conditions, scientists have come to believe that curcumin’s true potential has been limited by its poor bioavailability which is caused by the fact that it has poor solubility and extensive pre-systemic metabolism. Arbro Pharmaceuticals partnered with Jamia Hamdard University to carry out research and develop a novel formulation, which can overcome curcumin’s poor bioavailability. The development project was jointly funded by Arbro and the Department of Science and Technology, Government of India under its DPRP (Drug and Pharmaceutical Research Programme) scheme. SNEC30 is the outcome of this joint research and is based on a novel self-nanoemulsifying drug delivery systems (SNEDDS) for which patents have been filed and the US patent has been granted. “There has been tremendous interest in the therapeutic potential of curcumin but its poor bioavailability was a limiting factor, our research group together with Arbro took the challenge and applied nanotechnology to overcome this limitation and achieve highest ever bioavailability for curcumin,” said Dr. Kanchan Kohli, Asst. Prof, Faculty of Pharmacy, Jamia Hamdard University, who is one of the main developers of the formulation. Nanotechnology is the engineering of functional systems at the molecular scale (CRN – Centre for Responsible Nanotechnology). The name stems from the fact that the structures are in the nano-metre (10-9 mm) in range. 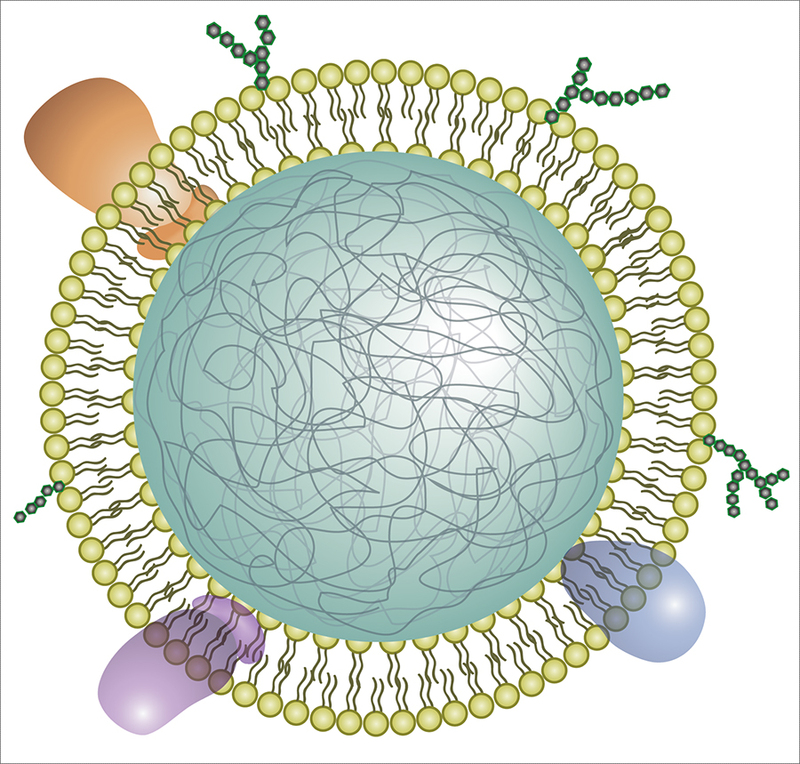 In pharmaceutics, nano-formulations are used for targeted drug-delivery, particularly in cancer therapy. It also finds numerous other applications in medicine. “Just 30mg of curcumin that is contained in one capsule of SNEC30 has shown higher blood levels than what can be achieved by consuming the curcumin content of 1kg of raw haldi or turmeric,” said Mr. Vijay Kumar Arora, Managing Director, Arbro Pharmaceuticals. Arbro Pharmaceuticals is a 30-year-old research oriented company with its own research and development, testing and manufacturing facilities. Arbro has been manufacturing and exporting hundreds of formulations under its own brand name to more than 10 countries. I am not endorsing this product but if you are interested the SNEC30 website is here. I believe Arbro Pharmaceuticals’ headquarters, the company which produces SNEC30, are located in India. This entry was posted in health and safety, nanotechnology and tagged Arbro Pharmaceuticals, arteriosclerosis, arthritis, cancer, curcumin, diabetes, India, inflammation, Jamia Hamdard University, Kanchan Kohli, pain, psoriasis, self-nanoemulsifying drug delivery systems (SNEDDS), SNEC30, turmeric, ulcers, Vijay Kumar Arora on May 3, 2016 by Maryse de la Giroday. Inflammation is the body’s natural defense mechanism against invading organisms and tissue injury. In acute inflammation, the pathogen or inflammatory mediators are cleared away and homeostasis is reached, however in chronic inflammatory states, this resolving response is impaired, leading to chronic inflammation and tissue damage. It is now widely believed that an impaired resolution of inflammation is a major contributing factor to the progression of a number of devastating diseases such as atherosclerosis, arthritis, and neurodegenerative diseases, in addition to cancer. Since the level of inflammation in these diseases is very high—targeted therapeutic solutions are required to help keep inflammation contained. A new study from researchers at Brigham and Women’s Hospital (BWH), Columbia University Medical Center, Icahn School of Medicine at Mount Sinai, and Massachusetts Institute of Technology presents the development of tiny nanomedicines in the sub 100 nm range (100,000 times smaller than the diameter of a human hair strand) that are capable of encapsulating and releasing an inflammation-resolving peptide drug. The authors showed that these nanoparticles are potent pro-resolving nanomedicines, capable of selectively homing to sites of tissue injury in mice, and releasing their therapeutic payload in a controlled manner over time. Uniquely, these nanoparticles are designed to target the extracellular microenvironment of inflamed tissues. The particles then slowly release their potent inflammation-resolving payload such that it can diffuse through the inflamed tissue. There the drug binds to receptors on the plasma membrane of activated white blood cells and causes them to become more quiescent. “The beauty of this approach is that it takes advantage of nature’s own design for preventing inflammation-induced damage, which, unlike many other anti-inflammatory strategies, does not compromise host defense and promotes tissue repair,” said Ira Tabas, MD, PhD, physician-scientist at Columbia University Medical Center and co-senior author of this study. “The development of self-assembled targeted nanoparticles which are capable of resolving inflammation has broad application in medicine including the treatment of atherosclerosis,” said Omid Farokhzad, MD, physician-scientist at BWH, and a co-senior author of this study. “These targeted polymeric nanoparticles are capable of stopping neutrophils, which are the most abundant form of white blood cells, from infiltrating sites of disease or injury at very small doses. This action stops the neutrophils from secreting further signaling molecules which can lead to a constant hyper-inflammatory state and further disease complications,” said Nazila Kamaly, PhD, a postdoctoral fellow at BWH and co-lead author of this study. “Nanoparticles that selectively bind to injured vasculature could have a profound impact in prevalent diseases, such as atherosclerosis, where damaged or comprised vasculature underlie the pathology. This work offers a novel targeted nanomedicine to the burgeoning field of inflammation-resolution, a field previously pioneered by BWH’s Dr. Charles Serhan,” said Gabrielle Fredman, PhD, a post-doctoral fellow at Columbia University Medical Center and co-lead author of this study. This news release does not offer any information as to what type of studies might be underway. My guess is that we are still years away from human clinical trials. Azonano also features this work in a Mar. 19, 2013 news item. This entry was posted in medicine, nanotechnology and tagged Brigham and Women's Hospital, BWH, Charles Serhan, Columbia University Medical Center, Gabrielle Fredman, Icahn School of Medicine at Mount Sinai, inflammation, Ira Tabas, Massachusetts Institute of Technology, MIT, Nazila Kamaly, Omid Farokhzad on March 19, 2013 by Maryse de la Giroday.